The contrast couldn’t be more brutal for the International Olympic Committee or those who trumpet the merits of what they call “the Olympic Movement.” The Brazilian news outlet Jornal Noroeste recently reported that the $32 million debt left in the wake of the 2016 Rio Games had ballooned to a staggering $113 million. In addition, the Rio 2016 organizing committee faces almost 600 lawsuits related to its failure to pay workers and suppliers. The headquarters is an open campus, and the public is able to walk right up to the building’s exterior. Fully transparent window treatments allow in ample light and views of the surrounding park, and create a connection between the public and the committee’s work inside the building itself. Yes, you can “walk right up” to the exterior! The IOC is a highly secretive organization, so “transparent window treatments” are the only thing transparent about the entire enterprise. While the head honchos enjoyed their luxurious new headquarters, Rio’s Olympic organizers all but begged the IOC to help them pay off their debts. The IOC refused to lend a hand. To secure precise numbers for what Rio 2016 organizers owe their suppliers, one would need an honest audit of the organizing committee’s funds. But, unfortunately, the Brazilian Olympic Committee and the Olympic organizing committee are full-throttle hornets’ nests of corruption. What we do know, however, is damning enough. When Brazilian police officials raided Nuzman’s posh Rio home in October 2017, they found $155,000 in cash as well as a Russian passport, which Brazil’s Federal Public Ministry believes was a gift that Nuzman received in exchange for supporting Vladimir Putin’s successful bid to bring the 2014 Winter Games to Sochi. As if the story couldn’t get any pulpier, it also turns out that Nuzman also had 16 gold bars stashed in his private safe in Geneva, Switzerland. This news followed Brazilian investigative journalist Jamil Chade’s revelation that in June 2014 Nuzman had shared his Swiss-bank-account details with the personal assistant of Lamine Diack, who at the time was president of the International Association of Athletics Federations, or IAAF (yes, the same IAAF that today is targeting South African runner Caster Semenya over “gender testing” and whether she meets “female” requirements in order to run). Diack sits at the center of an ongoing vote-buying investigation swirling around the International Olympic Committee’s voting for both the Rio 2016 Olympics and the upcoming 2020 Tokyo Games. A former IOC member from Senegal, Diack is currently living under house arrest in France. The IOC will certainly claim they have helped Rio and that the Games avoided an even bigger recession. But this is not enough. The reality is that Rio, bankrupt and struggling to pay its debts, is the symbol of a failed and unfair system. 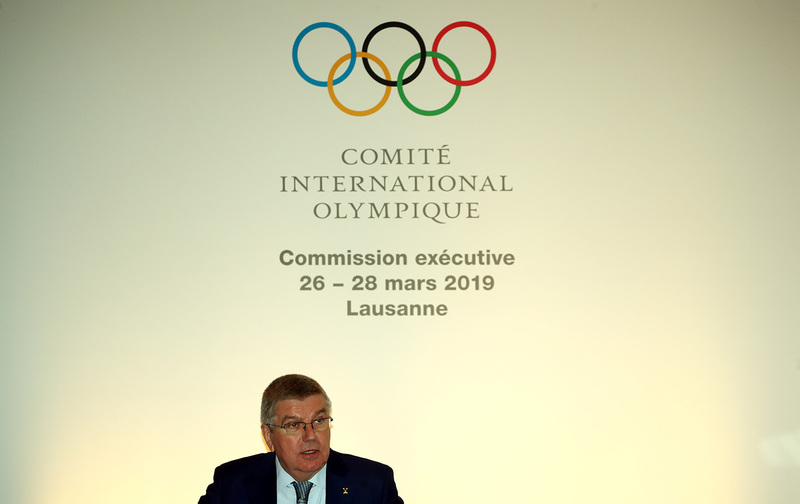 The transfer of revenues from the host cities to the IOC is immoral and must be reviewed.… When we know that the income of the IOC has been generated from events with questionable legacy and huge deficits, one must ask: when will hypocrisy be a modality at the Olympic Games? Unlike every single Olympic Games going back to 1960, the new IOC headquarters came in under budget, at least according to the IOC, by around $55 million. Rio’s initial debt to suppliers was around $30–40 million. In other words, the IOC could have paid off Rio’s debt and built its swanky headquarters. But that’s not how the IOC rolls. Instead, it will continue to make its global plans in an atmosphere of the kind of luxury that would make a Las Vegas casino owner blush, while Rio remains mired in a hell of budget cuts, school closures, and crime. This is the true Rio Olympic legacy. If the IOC had a shred of shame, it would do something about this. Correction: An earlier version of this piece incorrectly stated that the construction costs of the new International Olympic Committee headquarters surpassed $200 million. The actual construction costs were over $145 million.